Snapchat is getting in the hardware game with these new smart glasses. Back in September, Snap Inc. (the company behind Snapchat) announced it would be jumping out of our phones and onto our faces with its first hardware product, Spectacles. The connected sunglasses would allow wearers to record 10-second snaps at the push of a button. Recorded in circular video meant to mimic a person’s natural vision, those recording could then be transferred to a smartphone for sharing either right away or at a later time. While we haven’t heard much directly from the company since that announcement, a new patent published on November 1 looks to give us a glimpse at the forthcoming eyewear. 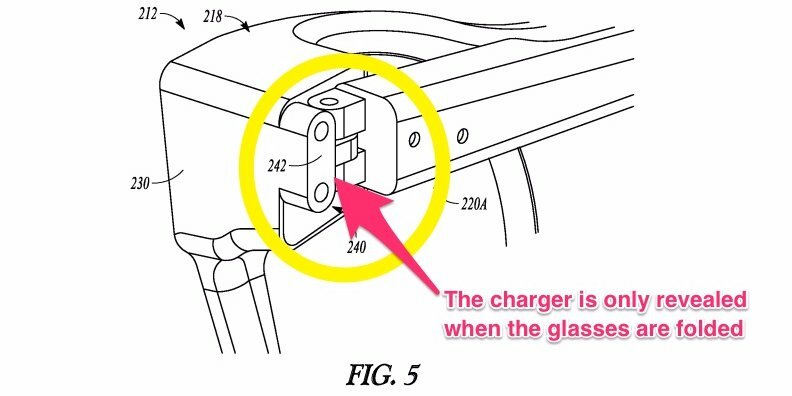 Snap Inc. hasn’t confirmed that the “smart glasses” featured in the patents it filed back in April 2015 are their Spectacles, but the similarities leave little room for doubt — the images featured in the patent match those in the press release announcing the new product, right down to the hidden charging port and carrying case that doubles as a charging station. Spectacles still don’t have a release date, but this new information should whet the appetites of social media addicts until they can get their hands on a pair and start recording snaps on the go. Snap CEO Evan Spiegel refers to Spectacles as a “toy,” and at just $130 per pair, they are a big financial leap away from the best known example of smart glasses, Google Glass, which retailed for $1,500. While Google’s expensive eyewear was widely considered a technological flop, it has paved the way for the smart glasses market. Juniper Research estimates that that market will grow so quickly that 12 million smart glasses will ship in 2020 (12 times the number sold in 2016), and the current technology is already taking so many different shapes. Snap’s Spectacles are giving people a new way to share video of their experiences, while the Blincam allows them to take photos simply by blinking. People can experience music in a new way while wearing Zungle Panther sunglasses, and the colorblind can see the world differently when looking through the EnChroma glasses. High-tech AR/VR glasses are being use to train Olympians, prepare astronauts for space missions, and completely remake the world around us. In the future, we could use smart glasses to control our computers, and they may even replace our monitors altogether. The possibilities stretch as far as the eye can see.